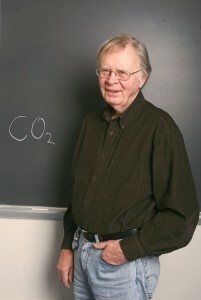 Filmmaker Anna Keyes, granddaughter of Wallace Broecker, interviewed him about climate change and climate skepticism. Growing up, Keyes didn’t realize that her grandfather was something of a science celebrity. “When you’re a kid, you think everything in your life is the way it is for everyone,” she says. “I was like ‘I have a scientist grandfather, no big deal.’” She’d seen photos of Broecker with Bill Clinton, and with the Pope, but the reality of her grandfather’s importance didn’t hit home until middle school, when she and her mother were flown to Rome to see him accept an award from the Italian president. 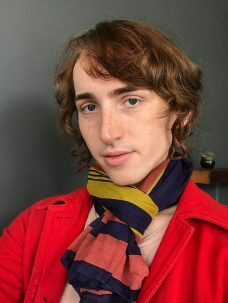 Keyes graduated college last year, and now works at the New York Transgender Advocacy Group and as a freelance filmmaker. Although her work doesn’t usually focus on climate change, she hopes the video will open a few minds to the very real threat of climate change. She also hopes it will inspire others to use their skills in media and outreach to think about showing science through a new lens.